Since 1966, GW Homes has proudly been an award-winning family-owned company. 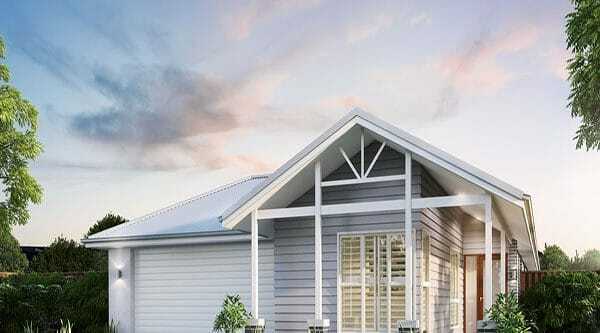 Today, we continue to hold a strong reputation among Queensland home builders, recognised and trusted for our designing and building superior quality homes across South East Queensland. .
We have an absolute commitment to providing outstanding quality and service. The proof? 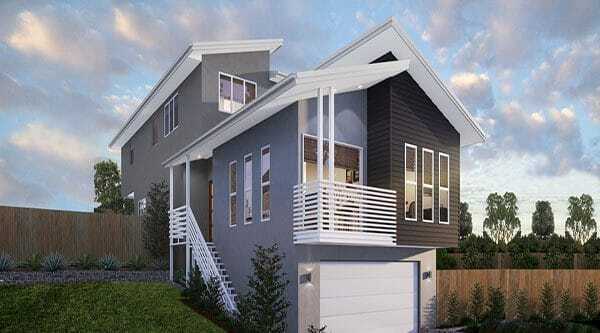 Many of our original clients have asked our Brisbane home builders to construct their second, third, and even fourth homes. It’s the kind of trust that is only built from an experience where everything is absolutely perfect the first time around. We never forget that choosing your home builder is a major decision, so we’re proud of our unsurpassed reputation for reliability and quality, that’s been proven for over fifty years. With GW Homes, we make sure to deliver exactly the home you want. 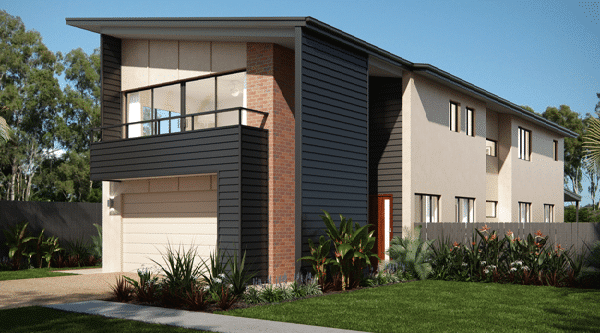 Whether you choose an existing GW Homes design from our range, provide your own plans, or rely on our experienced design team, we happily work with you to create a home tailored to your block, budget, and individual needs. We work hard to make sure you enjoy a hassle-free building experience from start to finish. 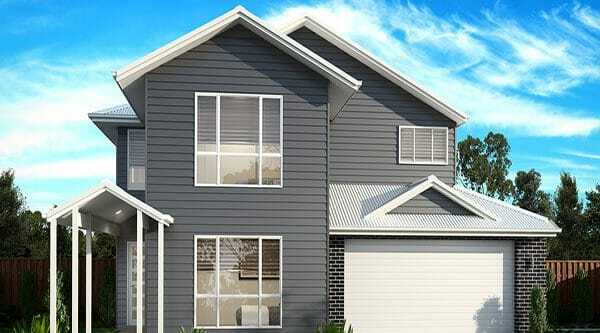 When choosing GW Homes, you can be reassured by our long history of being industry-leading home builders. It shows that we’re here to stay, and to honour our promise of ensuring your total satisfaction with your finished home. In fact, our reputation since 1966 is so solid that we’ve been invited to act as Queensland Building Construction Commission Tender Panel builders. This means that GW homes works to complete home builds by other companies, in the event that they’re unable to complete the project. It’s a privilege and an honour to help the building industry, and affected families, in this way. 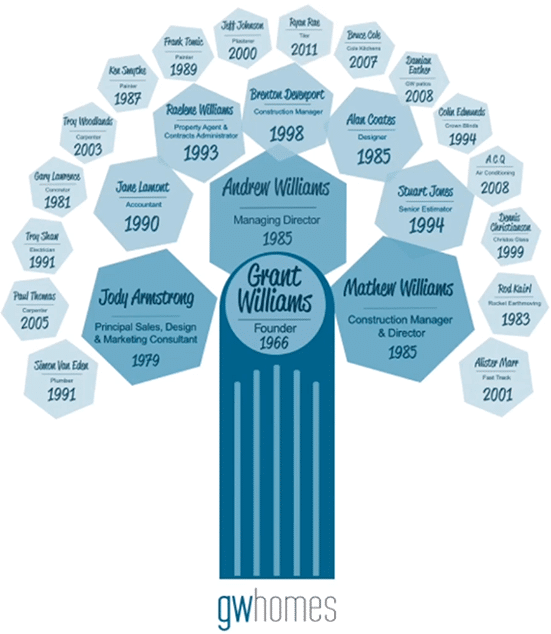 Ever since Grant Williams founded our company in 1966, GW Homes has been built on his integrity and commitment to quality. Today, Grant’s sons Andrew and Mathew, and daughter Jodie, carry on this proud family tradition. Starting out as carpenter’s apprentices, today Andrew is our Managing Director, and Mathew our Construction Manager and Director. Jody is our principal Sales, Design and Marketing Consultant, with more than two decades of design experience. Our family philosophy is also reflected in the stability of our workforce. Our Designer, Alan Coates, has been with us since 1985, and our Accountant, Jane Lamont, since 1990. Our Property Agent and Contracts Administrator, Rae Williams, has played a pivotal role with our team for more than 22 years. Many of our sub-contractors and tradesmen have also been with GW Homes for decades. This solid family foundation underpins our success, helping to make GW Homes the most reliable and genuine Brisbane home builders. A Stratco distributor since 2000, GW Patios have completed well over 2,000 patios and carports across Queensland. As our sister company, they bring the same GW Homes quality process and vast experience to designing and building your patio. 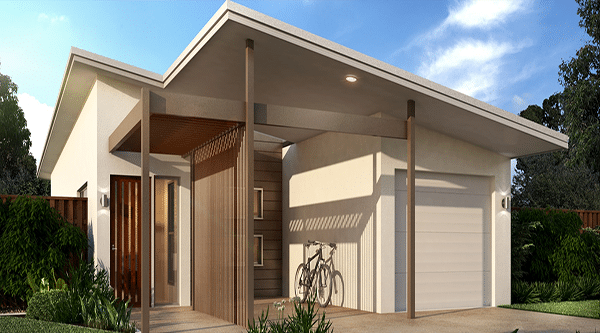 One of Queensland’s most respected real estate wholesalers, Podium Property Group maintains some of the highest selection criteria for investment properties in Australia. Get in touch to find out how they can help you take control of your future today. 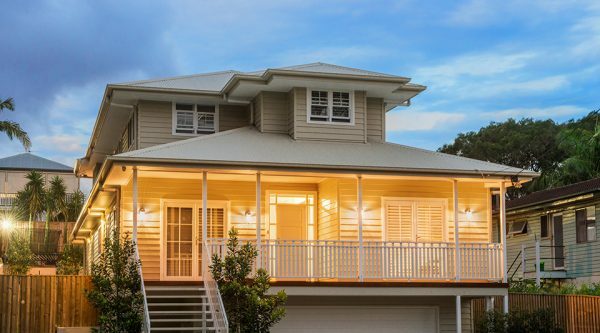 With their professional, proactive approach, Running Property provide residential property management services to investors all around Australia. By ensuring quality rental properties attract quality tenants, they actively work to maximise rental yield for investors.